5 Shows this Chanukah from Suki & Ding! Chazaq presents: Chanukah Celebration with Uncle Moishy, The Miami Trio and The Extreme Illusions of Eric! 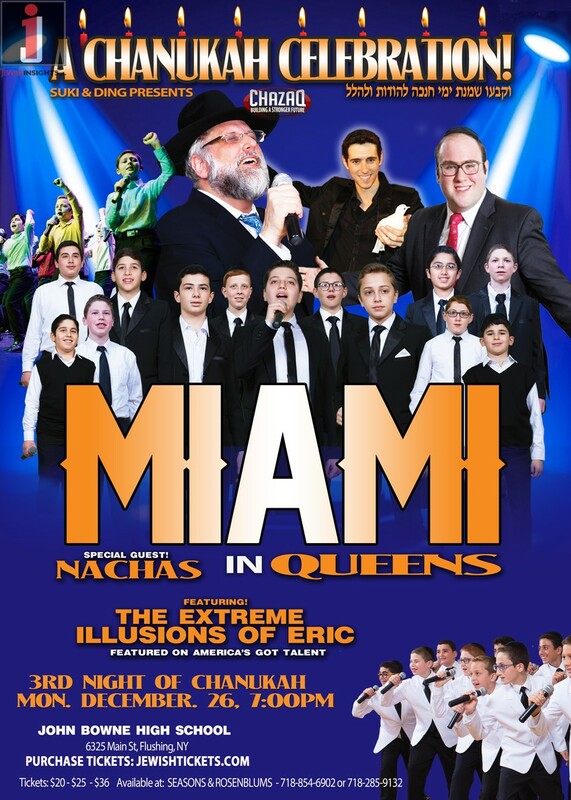 Chazaq presents: Chanukah Celebration Miami, Nachas and The Extreme Illusions of Eric! 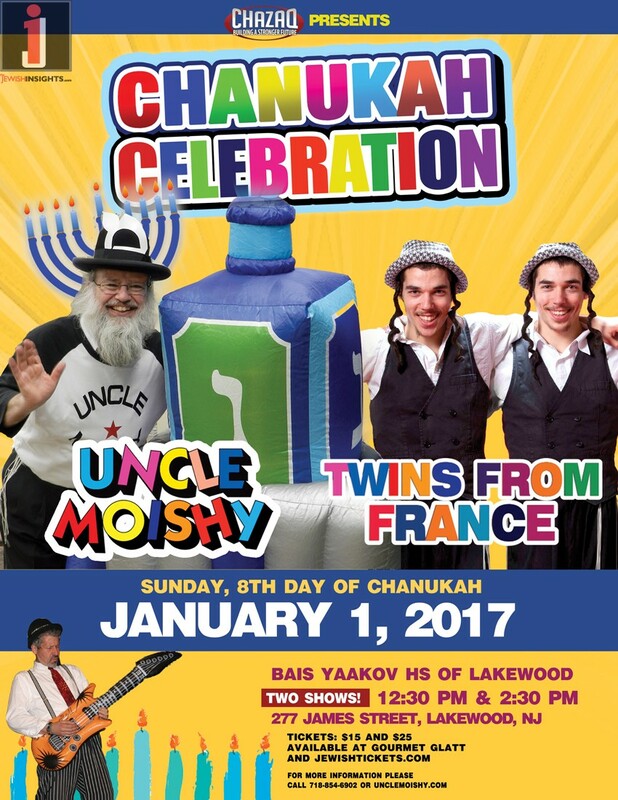 Chazaq presents: Chanukah Celebration with Uncle Moishy, The Twins From France, The Miami Trio and Cousin Nachum! 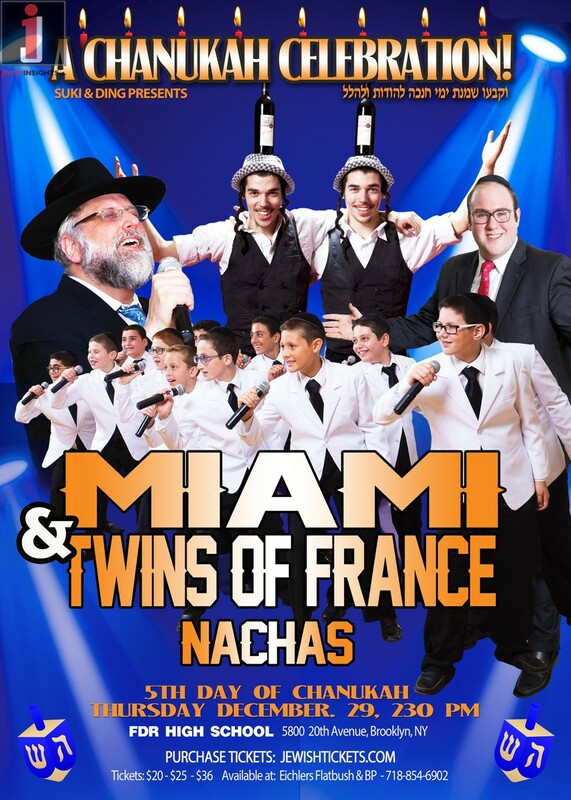 Suki & Ding Presents: Miami, The Twins From France, and Nachas! Chazaq presents: Chanukah Celebration with Uncle Moishy, The Twins From France, and Cousin Nachum!